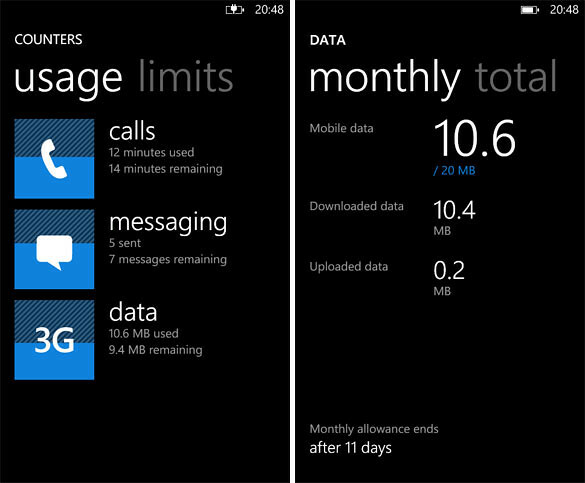 Nokia Betalabs has just released an app for Lumia Windows Phone devices to track and manage your calls, messaging and data use each month. There’s even the option to reset your counters on your monthly billing date. Upon launching the app, you need to tell the app when is your billing refresh date, limits for data usage, calls and sms. The app will then track it daily and lets you know if you are reaching your limits. 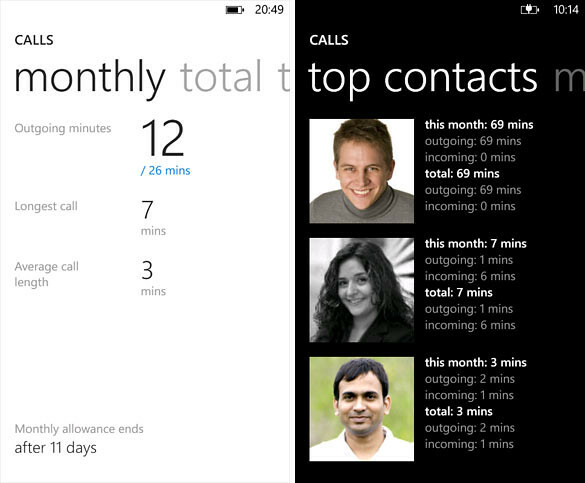 The counters refreshes on the date you input every month and it also shows you the people you contact with the most, tells you how much time you’ve spent talking or texting them as well. Note: Counters app requires particular phone software. You can check firmware version in Settings>about>more information>”Firmware revision”. It should contain string 8773 or 8779 (Windows OS version) as third number and it should start with 1750.xxxx for Lumia 800, 2175.xxxx for Lumia 900 and 1600.303x for Lumia 710 as example. Any smaller numbers means your phone SW has been updated partially (only OEM FW or OS FW has been updated) and rest should be updated in next slot. Most variant should get both OEM FW and MS OS during the same Zune update.